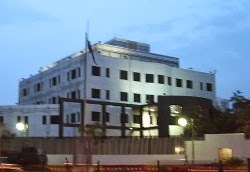 From places like this, the embassy in Jakarta, Australia spies on local internet, radio and phone traffic, we're told by the Sydney Morning Herald's Philip Dorling. Fairfax Media has been told that signals intelligence collection takes place from embassies in Jakarta, Bangkok, Hanoi, Beijing and Dili, and High Commissions in Kuala Lumpur and Port Moresby, as well as other diplomatic posts. Codenamed 'Stateroom', the program is linked to Australia's legacy status as a member of the Five Eyes group of countries: the US, the UK, Canada, Australia and New Zealand. The leak that reveals the extent of Australia's spying on neighbours is contained in a document produced by Edward Snowden. The National Security Agency document also observed the facilities were carefully concealed: "For example antennas are sometimes hidden in false architectural features or roof maintenance sheds." The Department of Foreign Affairs would neither confirm nor deny the charge of spying but last month I reflected on the likelihood of Australian involvement in mass surveillance. Whether the Australian signals intelligence agency is also spying on its own citizens is yet to be revealed. Once upon a time people used to pay for their news like this. Some media outlets still use paper and seem to see a future in sticking with the medium. Others are stuck in a slow decline but refuse to let go of print due to their reliance on that kind of advertising for revenues. Online, major news companies that have set up a paywall are still playing around the margins, seeing reliance on ad placements as a losing game as volumes increase and income slides. The most common form of paywall is the monthly subscription although some media outlets offer only an annual rate. Recently, the Australian website Delimeter has started offering a three-tier set of packages: monthly (of course) but also annual and per-view. It's the last one of these that is most interesting for me as I go down the same track; I announced three weeks ago that I would take this blog behind a paywall. But there remains the matter of disincentive to commit. For many, the barrier required to set up an account on each website will just be too much bother, and publishers will lose income as a result. So I wondered if there was perhaps another way, a method that allowed readers to maintain a digital wallet that any number of media outlets employed for their websites. Wouldn't it be great if you could charge up your digital wallet with, say, $10 and use that money all day, or all week, until it exhausted itself and required topping up? Like the way you do it now with your car toll-road tag: just go to the website and add another $50 to your account so that you can continue to use toll roads in your local or distant travels. 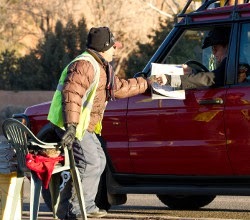 If social media websites continue to refuse to help media companies by tolling users for links they follow to get to news stories (I wrote a spoof about this idea earlier this year) then media companies have no option but to start looking for better ways to collect payments for the stories they create. But if an enterprising group of people could set up a cross-site platform to enable readers to maintain a single account for all of the media they consume, readers' lives would get a whole lot easier. As I walked back home from the cafe yesterday I went past the lawn bowls club as usual, which got me to thinking of the matter of bias. 'Bias' is a term particular to the sport of lawn bowls; it refers to the way the bowling balls are squashed along a single axis, making them not quite round. This characteristic allows the bowler to make a line to the target down the green. With only two exceptions bias in the public sphere among conservatives is motivated by ideology. Those exceptions are economic probity and the aesthetics of consensus. In other words, a conservative might without ideological input take a certain line on an issue if it is lower-cost or if it conforms to the feelings of the majority. All other justifications for conservatives are based purely on ideological considerations. On the Left, on the other hand, bias is exclusively predicated on reason. A progressive will tend to favour a particular line of thought because it is rational in light of advances in ethical and moral etiology since WWII: human rights, the conservation of the natural world, inclusiveness, tolerance and such. Once you accept that the modern social compact has virtues by reason of one or more of these considerations, it is rational to take it the next step down the track toward the perfection that etiology implies. To wish to halt progress is to flirt with the aesthetics of consensus, and to swing into the camp of the conservatives, which is something that progressives abhor in general. However there are many flavours of progressive just as a conservative might take a progressive line on one particular issue while remaining wedded to the status quo with regard to others. The notion of bias has, furthermore, an undeservedly bad name. Popular censure of bias is particularly prevalent in discussions of the media which, sitting between the major actors in the public sphere and the public itself, is assumed to require a perfect surface that does not distort messages in a perceptible way. Avoiding perceptions of bias is a major concern of all media outlets regardless of how openly they pursue their overt agenda. However it is a myth, and one that we are best to be jack of, where we should prefer fairness. Fairness assumes that the person doing the reporting is a person - which, in all cases, they are; dogs do not report stories in the media, for example - and also assumes that bias is implicit in the notion of personhood; we all have personal views on a wide range of public issues. 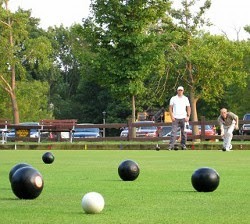 In lawn bowls the game would be unthinkable without bias on the balls used to play it. In the public sphere we should also take for granted that bias exists, but that the reporter whose work we are reading has striven to be fair to all parties in the case. The federal member for Kooyong was on lateline last night advocating for stupidity and it was done in such a knee-jerk fashion that you just KNOW it's official Liberal party policy. Josh Frydenberg, asked about experts linking the recent Blue Mountains bushfires with climate change, puffed himself out to the maximum extent - a phenomenon naturalists have long observed occurring in the species Politician doofuseus when they feel under threat, especially when it happens immediately before they say something particularly stupid - and evacuated his party's policy in this matter, which is to ask people to stop thinking when faced with a crisis. 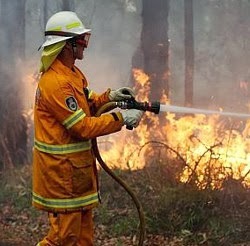 It was political point-scoring to link the bushfires to climate change - this aimed obviously at the Greens' Adam Bandt, and despite the fact that the main proponent of the thesis works for the UN - and people should not do this "when firefighters are risking their lives", as if Mr and Mrs Goodfolk of Bexley can somehow PROJECT THEIR BRAINWAVES over great distances with the malicious intention of HAMPERING THE HOSEWORK of Marty Grundge struggling in the sooty thickets north of Leura. I guess that the flight syndrome has to apply here, as in "IT'S AN EMERGENCY, DON'T WRITE AN ESSAY DROP EVERYTHING AND COME WITH ME!" But it's a particularly selfish wish on Frydenberg's part, since it's clearly incumbent on everyone in the broader electorate to use their brains to practical ends. Implying that the bushfires have nothing to do with climate change falls into this category since the Liberals are asking the Greens and the ALP to help them scrap the carbon price legislation the previous government brought in. People HAVE to think about climate change and it's obvious that having severe fires in October is going to make an impact on their aggregated frontal cortexes. Obvious to everyone except Frydenberg and his fellow deniers, who have decided that government is always right, the overwhelming majority of climate scientists globally are wrong, and that YOU SHOULDN'T TALK OUT OF YOUR HAT. Not while the firies are squirting water on nasty embers, anyway. I went on a tour of the Sydney Opera House in July and was struck by the way the host, a young woman, kept bringing our attention to the building's construction budget blowout, during the early stages of the tour. She kept coming back to it again and again. 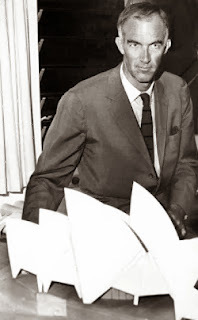 And later we saw a video that made reference to the Liberal Askin government that came to power in 1965 and that caused so much trouble for architect Joern Utzon that he quit the country and never returned. But in the film they just said "the new government" with no reference to its political colour. And the same thing happened last night on the ABC newscast when notice was made of the 40th anniversary celebrations that are being held today. It was just "the new government" again. But it was in fact a CONSERVATIVE government - a penny-pinching philistine and thus typical conservative government that only has regard for money and nothing else - that dangerously let down the people of Australia in the matter of the Sydney Opera House. It was the same kind of government we have had again and again in this country, except that the Howard government was a higher-taxing and higher-spending government than either of the Gillard or Rudd governments. I think it's disgraceful how we have allowed parts of the elite to rewrite history and remove the stain of shame from the Askin Liberal government, a government that did not deserve the kind of innovative contribution that Utzon made to Australia, and to the world. The Sydney Opera House has recall globally second only to Mickey Mouse. It is a building beyond the wildest dreams of aspiration of the majority of people, let alone a penny-pinching philistine Liberal government like Askin's. It's time to start telling the truth so that we will know, in future, what we are really facing when the time comes to choosing between a conservative government and a progressive one. Without Labor the Sydney Opera House would never have been conceived. The Liberals almost killed it. Some people will pay and others won't but it's really important to understand that, for me, this blog represents a journey and, more, the primary place I use for my writing. In January 2006 when it started I had just enrolled in a media degree at university. That took two years part-time to complete and the blog continued to exist afterward, through the years of the GFC and the economic recovery that has sputtered and lurched along since then. In early 2009 I quit technical writing and started working full-time as a freelance journalist, with my first story published in September of that year. And year after year I tried new things, such as adding titles for each post - in late 2011 - that have led to higher pageviews on the blog. I stopped freelancing in July 2012 and looked to the blog as the primary vehicle for my writing which led me to add, in May 2013, a 'donate' button where people could easily select to give me an amount of money - if they wanted to. But noone did. Not a cent has been received and as a result I am determined to take further steps to monetise the blog. The result is that the blog will cease to be hosted on Blogger and will, instead, be part of my personal website (matthewdasilva.com). In addition, I am going to implement a paid-for model so that people who want to read posts on the blog will have to pay to do so. Of course, pageviews will drop significantly but I am fully prepared for this outcome. What I look forward to is receiving a quantity of income from the writing that has taken me so many years to develop to a level where it would be acceptable on any website in the world - or so I think. To this end I will be working with my longstanding web developer, B-Side, who have done work on my website in the past to such a high standard. I hope that some of my readers will continue to read the posts that go on this blog. The name will not change, just the location, and the general tendency and subject matter of the blogposts will remain the same. The main thing that will change is my own understanding of the value that my writing represents in the broader scheme of things. And I also hope that my taking this step will encourage other writers to do something similar. For my part, I know that my writing has improved to a great degree since the first blogpost went up on 22 January 2006. The improvement will not stop but if there are certain things that you particularly enjoy about this blog let me know below. In the meantime I will be taking on new challenges - including the redesign of the blog - in my search for a decent livelihood from writing. It is what I love doing. See you down the track. 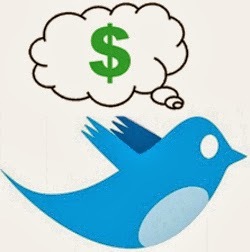 If you're not paying for it you're the product ... As Twitter readies for its IPO and the potential for more "promoted tweets" looms like a sick headache for hundreds of millions of Twitter users globally the memory of what happened to HootSuite comes back to me. Many will not know how HootSuite, the Twitter application, changed its operation one day a few years ago. "Sticky" tweets in the way of ads stayed at the top of the user's feed and you had to pay a monthly fee now to get rid of them. At the time this happened I immediately changed my Twitter app to TweetDeck, which was subsequently bought by Twitter. So what's next? Sitting at a point further along the marketing continuum is Facebook. Facebook users are by now accustomed to the ads that are perennially served up within the user interface. Some are accurate for the demographic - remember blithely telling Facebook your date of birth all those years ago when it was just supposed to be a fad? - and others are stupid beyond the comfort of click-through apologies. But recently ads are being served to me that show that Facebook is accessing my browser history logged at other places on the web, such as links received in emails and those served up in Google searches. Facebook is getting smarter as time goes on in its effort to maximise its monetisation of me. Facebook is a bit of a closed shop for me, and it's mainly where I keep in touch with friends and people I know from real life. It's anyway a goofy interface, a crowded hogde-podge of features, functions and knick-knacks most of which are never used and sit there like happy automatons waiting to have their ears scratched. I tolerate Facebook like I tolerate a favourite pair of shoes that despite having run down at the heel and despite the immovable stains on the plastic uppers continue to serve as a reliable back-up in case the better pair are out of service due to damp, for example. A large-scale popular display such as the Royal Australian Navy Fleet Review presented on Saturday night in Sydney has to please as many people as possible, for a start. As has become routine, the sails of the magnificent Sydney Opera House - a building with a global recall second only to Mickey Mouse - doubled as a cinema screen and on them were shown a sequence of images, often involving newspaper clippings, designed to provide a shorthand history of the RAN. The RAN's credentials thus extend from WWI through the better-known drama of WWII to mostly forgotten wars in Korea and Vietnam. Cyclone Tracey also featured: this was a big mission for the RAN in December 1974 when the force helped to evacuate Darwin after the storm flattened the town. The final phases of the display unfortunately resembled nothing more than a recruitment video designed to inspire the potential sailor with positive feelings like loyalty, pride, and gratitude. The final image on the sails was the insignia of the RAN with the crown on top - you can see similar crowns on the insignia of the country's state police forces - signalling toward the overt symbolism of Prince Harry's presence at the review as the representative of his grandmother, the Australian monarch. Governor-General Quentin Bryce dutifully played second-fiddle to "the world's most eligible bachelor", a gentleman whose casual review-day attentions were much sought-after by young Sydney women. The young women who did not get a chance to touch Harry's hurriedly-extended hand as he made his progress through the city's streets could comfort themselves by enjoying the palpable excitement generated by figurations of the most memorable naval event in Australia's history: the war against the Japanese in WWII. This section of the evening's hugely-exploded diorama served up to the audience on the ground in Sydney and - by way of the TV broadcast - to watchers elsewhere was set to the famous strains of part of Gustav Holst's The Planets orchestral suite, 'Mars'. The work was written between 1914 and 1916, we're told, and so dates from about the same time as the RAN was established in 1913. 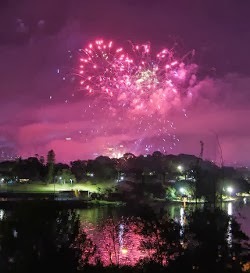 Holst's stirring and menacing music dedicated to the planet named after the Roman god of war - it's where we get the word 'martial' from after all, as in 'martial arts' - came at the same time as the fireworks being set off from boats at anchor at different planes along Sydney's amazing harbour made the night glow red. Spotlights mimicking searchlights added drama to the display. A lone bugler playing a variety of tunes including the song Australians recognise from ANZAC Day parades - the Last Post - which are memorials for the dead, helped to turn the attention of the crowds and the TV watchers to the men and women who lost their lives in battle, and added a fitting long, solemn moment to the display. Sailors interviewed by ABC TV after the display were all grins and yelps in their excitement at the show put on in their honour. Fathers and mothers lined up along the shoreline of possibly the best harbour in the world wiped away tears inspired by complex emotions. Children stood around quietly in exhaustion from all the activity - enough to equal their own inherent capacity for movement and sound. The TV anchors beamed with pleasure for the sheer size of the moment of shared community they had helped to create, and happily declared themselves speechless. The cooling air of the calm spring night, absent rain, slowly dispersed the clouds of smoke from the dead incendiary devices. A million people turned their attentions to the problem of getting home on crowded public transport. The black water of the harbour lapped quietly against the stone parapets at the Botanic Gardens and beneath the apartment blocks of Kirribilli. The long weekend continued. I thought it was a bit odd when not long after the election result was clear and Tony Abbott started to pursue the priorities he'd set out before the poll, that a story about plans for Indonesian companies to purchase Northern Territory cattle properties appeared in the media. Then less than three weeks after the election more stories emerged, with Abbott's Jakarta trip scheduled to go ahead the following week (this week). Now Barnaby Joyce, the agriculture minister who had eretofore been loudly protesting against such sales, has executed a neck-snapping backflip on the issue, and has moved in behind them. It's been clever maneuvering by the Indonesians. 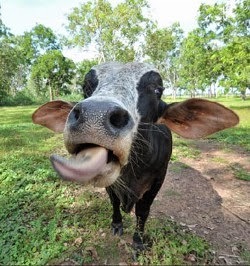 After the Labor government shut down the live cattle trade to Indonesia in June 2011 Northern Territory cattle producers never really recovered as importers kept quotas well below levels that obtained before the crisis. As a result local property prices dropped sharply. In step the Indonesians, wallets in their hands. And with the new interest from Indonesia in purchasing cattle properties, property values will recover. During his visit to Jakarta, Abbott slammed the previous government over its unilateral move to stop the live trade, in a concession to his hosts that cost him nothing. Now he has brought Joyce into line, allowing him to assign credit for the backflip to Northern Territory cattle producers themselves who, Joyce says, want the sales to go ahead. Of course they do. But it's fascinating to watch Joyce shift so rapidly from the agrarian socialism he has always believed in, to a spot in the limelight situated significantly closer to the main action taking place in the seats reserved for the supporters of big business. Abbott has for his part moved closer to Julia Gillard's "Asian Century" template. The PM very loudly announced that a bevvy of business people would go with him to Jakarta in an effort to drum up trade between the two countries. Which is how it should be played. There are heaps of business opportunities available in Indonesia for smart Australian companies. Those who complain about the fact that an Indonesian company owning cattle land in the NT would pay no tax on live exports are missing the point. It's short-sighted and parochial to simply equate the national interest with tax receipts. Farmers and those living in rural communities know that foreign investment often brings with it higher levels of capital inflow as new owners work to improve properties in line with their wider business strategies. Australia relies on foreign investment in so many parts of its economy that it simply could not function at the level its citizens have become accustomed to without it. Beyond this aspect of the case, however, is the simple quid pro quo. If Abbott wants Australian companies to prosper in Indonesia - where the population has now reached 250 million and where the same middle class that asks for Aussie beef commands significant, and growing, discretionary cash - then he has to be willing to allow Indonesian companies to pursue their own best interests on Australian soil. This is how the diplomacy of business works. And I would far rather see the quid pro quo working to the advantage of Australian businesses than merely underpinning Scott Morrison's silly and xenophobic asylum-seeker policies. 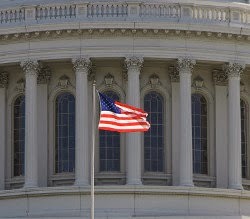 If the government shuts down, who needs a republic? This blogpost started with a humorous tweet - "Let's shut the government down & immediately start it up again and hope that fixes the problem like with my wifi." - that appeared a couple of days ago in my feed where it had been retweeted by someone I follow, and it got me thinking about the events in Australia of November 1975 when exactly that happened, as the Washington Post reported. This story appeared in social media soon after I had remarked there that the differences between the two cases warranted examination in the media today. The events it recounts are writ large in the memories of many liberals because it was a progressive prime minister who was dismissed by the governor-general; Gough Whitlam - who is still alive - looks to most Australians like some sort of unfettered sage looming over the decades that have passed since those days long gone. After I posted the link to that story on Facebook someone I know remarked that the US government shutdown was the reason he remained a monarchist, and I countered - because I personally would prefer to see Australia as a republic - that just because the US polity has the problems it does now would not necessarily mean that every republican model you constructed would be liable to the same phenomena. The guy said I had a healthy imagination, and: "Up till now I haven't seen anything that does the trick... but I remain open minded!" Staying open-minded is part of the trick. As recently as December I came up against questions about Australia's political system from a skeptic. Although Australia is the world's fourth-oldest democracy we sometimes get reminded that the British Queen remains the head of state. Is Australia a real democracy? The question gets asked, it does. In the main, foreigners tend to be more censorious than locals. Yesterday someone used the word "neo-colonialism" in a tweet responding to one of mine: a Brit as it happened. But Australians are far more blase about the political settlement that has served the country so well for such a long time - elections began to be held in New South Wales in 1856. The country is the world's 15th-largest economy although its population is a mere 23 million. There has never been any major episode of civil conflict to mar the record. It is a liberal, pluralist, successful polity that continues to attract hundreds of thousands of immigrants every year who want to work, live and raise their families here; our bureaucrats and politicians - regardless whether they're conservative or progressive - encourage this inflow. But still the question remains as to why the country does not choose to go it alone. Certainly, the drama in Washington DC currently must act as a disincentive. How much more civilised, many will say, to simply abolish the government, call for new parliamentary elections, and carry on. On top of the smug feeling our record in this space evokes there's also the matter that the British royal family is wildly popular in Australia, evidenced by the regular appearance of royals on the glossy covers of women's magazines. The flag has Britain's Union Jack set in the top lefthand corner. Australians are remarkably comfortable with the political settlement mainly because it has operated so well for so long. Students of Australian democracy might well point to episodes other than the one in November 1975 to show how the monarchy functions to adjust the progress of government in Canberra, but there has been no other major one to frighten children with. In the final analysis the current Australian political settlement is a very reasonable one, and if there's any one characteristic that symbolises government in this country it is that it's reasonable. The can-do-anything imaginitiveness fostered by Americans' foundation myths is less overt in Australia, and for that reason probably more complex. The fact remains that when Australians asked for representative government the British monarchy complied. It has been complicit in the trick ever since. Nothing to see here, move along. What does the Guardian need to do to survive? New Yorker feature writer Ken Auletta's profile of the Guardian's Alan Rusbridger is, for liberals, a bit like a sweet treat with no health consequences: did spending 15 minutes reading the story on your screen impair your vision? The answer is emphatically no. Does the world desperately need the Guardian? The answer is: that depends. Auletta's approach is prima facie biased, for a start, admitting up-front that a media outlet led by a single person is the only way to go, but what can you expect from the New Yorker? For, given the likelihood that your business will be more than just scrutinised by those who have something to lose by your publishing stories - politicians and state functionaries occasionally drop by for a discrete chat, with all the menace that that mundane epithet implies - it seems that some sort of top spokesperson is advisable. Nevertheless, the Guardian's latest coup - the Edward Snowden stories - emerged from the keyboard of a freelancer based in Brazil, Glen Greenwald. Given these figures, it's probably overly pessimistic to deduce that the Guardian will run out of money in three to five years, as Auletta's story says will happen, but clearly a new business model is needed. If the paper's Australian website overtook Rupert Murdoch's Australian in pageviews within weeks of its launch, as Auletta's story reveals, there's still plenty to be optimistic about. The Guardian prides itself on being disruptive and this is why people read it so happily but the disruptive effect of the internet is equally harsh on those who fail the relevant test. It's not whether you deserve to survive that counts, it's whether you have the flexibility to survive. Rusbridger's maintaining the UK print edition seems to me to be a weak spot, acknowledging though that this vehicle is responsible for a significant quantity of the paper's income. 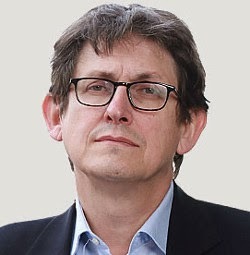 But the approach of Rusbridger, while it appears to be very positive, may signal that it is time for him to go and to let someone who is more attuned to the online world, take over. The US and Australian forays have been led by watching website traffic, but Auletta's story also tells us that Rusbridger spent time in the US as a reporter decades ago. Making the move to that market is therefore a step in line with his own personal biases. Going to Australia appears to me to be a toe in the water in advance of entries into other, bigger, markets such as India. But it's not just the places it operates that will determine whether the Guardian can stay afloat down the track. 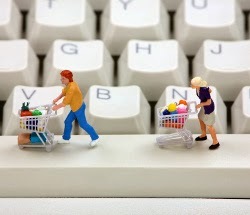 A new business model is going to become imperative. The Guardian has reached out to its readers - many will remember the paper spruiking its open journalism idea in February last year; remember the three little pigs? - but it has held back from adopting a crowdfunding model, a model of income generation that has proved itself lucrative time and time again. Many Australians will be aware, very recently, of the success of the Climate Council in raising funds (it emerged from the Climate Commission, a government-funded body the new federal government abolished); five days ago it was reported they'd raised $1 million from the community alone. There's also the example of Kickstarter, the crowdfunding site that has helped to bankroll 49,000 creative projects since 2009. I'm not saying that the Guardian has to post each major investigation on Kickstarter, with a video, to get its book filled but these are the things that Rusbridger needs to think about if he wants to cut losses to below that key 13,000,000 pound threshold. But I'm not sure that Rusbridger is up to it. His presence on Twitter, for example, is minimal and relies mainly - in fact, totally, as far as I have seen - on pushing story links to readers. There's no real engagement, nothing sticky that he's doing to make people follow him. Other editors with the paper are better at this. It's a generational thing, I believe. Rusbridger has done fantastic work for a long time and, yes, he's got spine. For the Guardian to survive though he must relinquish his post and hand over to a person who better "gets" the web and who also has that journalistic background. That person might think about ways to help develop more freelancers, too, in the mold of Greenwald. Brazil looks nice don't you think? This lovely novel situates itself in two periods of time within recent history, starting with the aggressive post-9/11 hubris of New Labour. It opens with Paul Anderson, alias of Kit Probyn, an undistinguished functionary in the Foreign Office, acting as the ears and eyes on the ground in Gibraltar for Fergus Quinn, the foreign minister, in an official - but deniable - rendition/kill operation against a terror target. Operation Wildlife involves delisted members of the UK special forces and mercenaries from Ethical Outcomes, a Texas-based private intelligence and enforcement provider. The squadies go in but then Paul/Kit is whisked away. The narrative then takes up with Toby Bell, a rising star in the Foreign Office, who works as private secretary to Quinn. Bell is suspicious of his boss and takes actions - including activating a listening device in Quinn's office during a planning meeting for Operation Wildlife - that serve to raise the levels of tension in the book. But then he, too, is whisked away and posted elsewhere. He never forgets Quinn though or indeed Jay Crispin, an employee of Ethical Outcomes he meets in Quinn's offices. The story then takes up with Probyn on his Cornwall estate following his leaving the Foreign Office as Sir Christopher. Plum overseas postings after Operation Wildlife have set him up nicely with a state pension that he can enjoy in his retirement. But one day he comes face to face with Jeb Owen, one of the special forces soldiers from Operation Wildlife. Jeb has set himself up as an itinerant leatherworker with a well-equipped van, and he tells Kit in an oblique fashion that Operation Wildlife had deleterious outcomes that noone admitted to at the time. Were Kit's cushy postings awarded on the back of the murder of an innocent woman and her child? When Kit's wife Suzanna gets wind of the truth Le Carre sets in train a series of events that pull Probyn and Bell closer and closer together, and deeply involve also Kit's doctor daughter Emily. Extraordinary rendition, extrajudicial murder, private defense contractors and the like have been elements of public debate for some years, notably in the follow-up to the 9/11 attacks when the US went frankly mental. 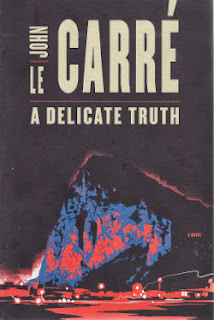 Le Carre has woven such concepts into a story that implicates the UK government in very immoral - and also illegal - activities, in his new book. The final chapters contain some wonderful writing about how whistleblowers get routinely treated by government, and even at the end we do not know what's in store for Toby and Kit as the security forces arrive with their sirens wailing. The book also plays around the margins of internal and public routes available to whistleblowers, bringing to mind the actions in the real world involving WikiLeaks and Edward Snowden. There is a wonderful scene when Kit approaches the Foreign Office with his concerns about Operation Wildlife and is treated very roughly by two grey bureaucrats intent on protecting their august institution and the politicians at its head. In fact the emotional and slightly unstable Kit is a wonderful character from Le Carre even if it's the more substantial and reliable Toby we are asked to barrack for in the end. The unsettling Crispin and his various organisations that work closely with governments like the UK's is also a treat, although you do wonder if companies such as Ethical Outcomes can possibly be as sinister as Le Carre paints this one. But this is drama and so it doesn't matter. Also he does so often, Le Carre is able to render the larger, global action in terms of the relationships between private individuals. The stresses and anxieties that they feel come to the fore, and so this is both an unsettling and enjoyable book that served, at least in my case, to import for a limited period of time some of the anxieties of the War on Terror, into my living room. A great read.